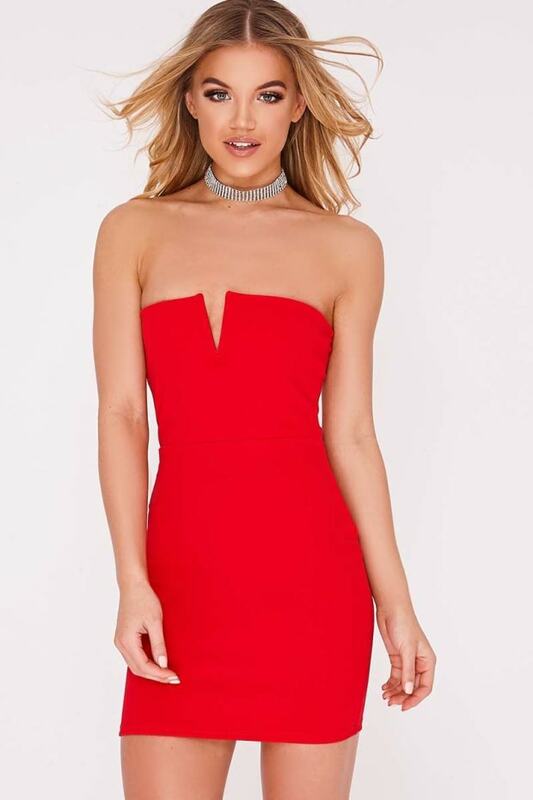 Make the night all about you in this chic red mini dress. In a flattering bandeau design featuring a plunge neckline, this is the perfect Saturday night piece. Style with a statement choker and chic heels for the ultimate look!